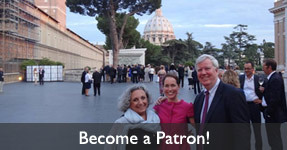 On September 19th 2015, the Italian & International Patrons of the Arts joined together for a special tour of the Papal Residence and Gardens of Castel Gandolfo. Patrons gathered at the Gates of Villa Barberini on a sunny Saturday morning where they were greeted by Sabrina Zappia, Italian & International Patrons Chair, volunteers Ludovica Mazzitelli and Giulia Grierson, and guides Micaela Benelli and Sara Bongirolami. 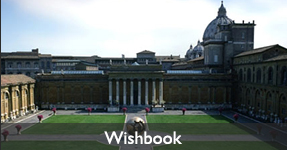 The group proceeded to visit the botanical and architectural wonders of the Pontifical Residence. From the Magnolia Gardens to the Path of the Roses, to the ruins of Domitian’s Villa and the startling and magnificent panoramic view stretching towards the sea from the Belvedere Gardens, the Group truly enjoyed a wondrous and unique experience.